This blog post outlines six steps for developing, measuring and monitoring customized indicators of equitable education access in crisis and conflict settings. Check out the Equity Indicators for Access guidance document for more on the process for developing equity indicators customized to individual projects. The new Handbook on Measuring Equity in Education, produced by the UNESCO Institute for Statistics (UIS), the FHI 360 Education Policy Data Centre, Oxford Policy Management and the Research for Equitable Access and Learning (REAL) Centre at the University of Cambridge, provides practical guidance on the calculation and interpretation of indicators designed to target the most disadvantaged groups. It is intended for anyone involved in the measurement and monitoring of equity in education, especially those concerned with national policymaking. It addresses the current knowledge gaps and provides a conceptual framework to measure equity in learning, drawing on examples of equity measurement across 75 national education systems. The handbook explains what it means to measure equity in learning, recognising that equity itself is a political issue and cannot be isolated from political choices. It focuses on two key principles – impartiality and equality of condition. This presentation was presented as part of the panel, Measurement of Equity in Education: A Handbook, at CIES 2018. This presentation, based on chapter 3 of the Equity Handbook, guides researchers and practitioners through a standard process in the identification of relevant equity considerations, as well as the provision of basic technical and operational framing for the most common metrics of equity in education. The audience will be guided through various visualization and measurement techniques representing equality of condition (univariate measures of inequality) and impartiality (bi- and multi-variate measures of inequality). This review was presented as part of the panel, Measurement of Equity in Education: A Handbook, at CIES 2018. 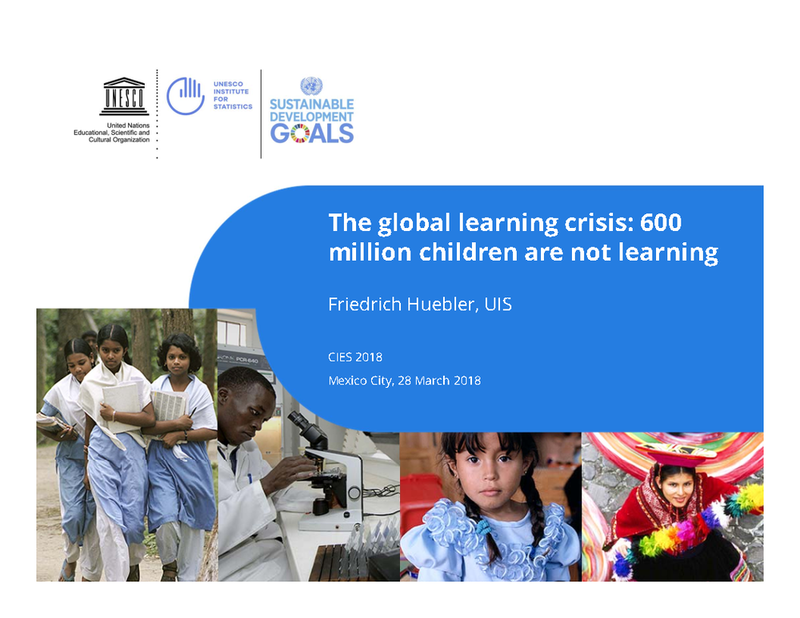 To support efforts to monitor progress towards the SDGs, the Research for Equitable Access and Learning (REAL) Centre at the University of Cambridge and the UNESCO Institute for Statistics (UIS) are co-editing a “Handbook on Measurement of Equity in Education”, produced in collaboration with FHI 360 and Oxford Policy Management. 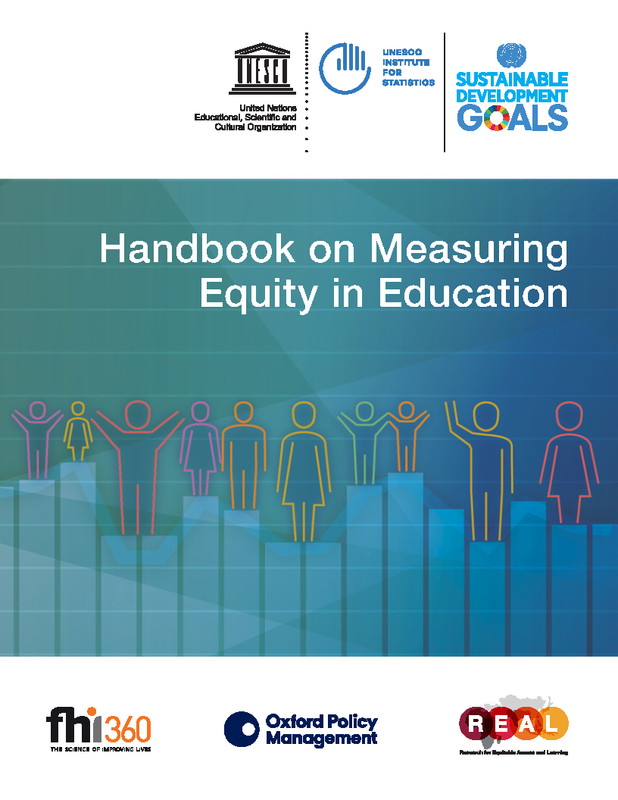 The Handbook is intended to serve as a reference for professionals involved in the measurement and monitoring of equity in education. In this review, Dr. Eduardo Backhoff provides an overview of its content and present examples of its application to national and international equity data. This presentation, based on chapter 2 of the Equity Handbook, offers a conceptual framework for equity analysis, with an emphasis on equity in learning. This presentation was presented as part of the panel, The Equity Initiative: Innovations and Challenges in Using Functionality Screenings with Children, at CIES 2018. This presentation will discuss work to address the question “What is causing high incidences of behavioral challenges observed on functionality screenings like the WG tool?” Drawing on critical social constructivist theories of disability, this paper surveys several case studies in the international literature on challenging behaviors related to emotional and behavioral disabilities (EBD) as well as other disabilities that are often associated with challenging behaviors associated with the identification of disabilities in a global context. This paper will present the side-by-side Short Set data from caregivers and their children and discuss the strengths and weaknesses of the utilized methodology. We will also demonstrate how children’s literacy practices differed based on their functional limitations, as identified by the Short Set. Finally, we will present ways that Save the Children and other organizations can move forward with collecting critical data on children’s disabilities using these questions. This paper presents the initial results from the rollout of the Washington Group Short Set of Questions with children and adolescents through the school-based surveys. The Short Set is intended for use by adults, and is generally not geared towards gathering data with children. This exercise by FHI 360 aimed to empirically test the appropriateness of the tool with children in different country contexts and age groups. How do we operationalize equity in education, in the context of education development programming? This blog post from FHI 360’s R&E Search For Evidence blog presents five features necessary for a monitoring, evaluation and learning system to be geared towards equity in education. This blog post from FHI 360’s R&E Search For Evidence blog addresses to the need to be deliberate in building a monitoring, evaluation and learning system that generates the data and analysis that help answer the question: are we improving education equity through our programming and policy?